What should you look for in a Commercial Paving Company? Request parking lot installation quotes from 3 locally owned paving companies. Make sure each company comes to the project site and walks the entire boundary. 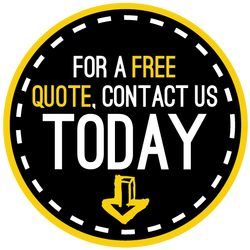 Request that the quotes detail in writing what will be done, what materials are needed, and what warranties are offered. Once you’ve received 3 project quotes for your commercial parking lot, check the details of each quote to make sure they are comparable in promises then the costs will stand out more clearly. Each paving company should also be licensed, insured and bonded (check for proof), experienced in building parking lots, and up to date on the current American Disabilities Act guidelines and federal, state and local codes to make sure all will be in compliance. Note! Licensing requires a number of years of on the job experience or proof of formal training, and the passing of one of more tests. The tests mostly cover safety requirements and construction laws. Bonding requires the Paving Company to have funds in escrow in case of a lawsuit to pay for damages ordered by a court of law. Insured employees mean that when a worker is injured on the job they have to apply to the employer for compensation- not the clients’ policy. This business insurance is a very important protection for the property owner that should be verified with the paving company’s insurer. We install concrete components of the commercial parking lot, such as sidewalks, curbs, speed bumps and storm drains or culverts. No need to coordinate with another concrete company. We also own all of the equipment necessary to produce the concrete curbing etc... so no worries about availability of rental equipment. Each contractor hired brings the possibility of scheduling conflicts. Since, Seattle WA Paving can handle both paving and curbing we'll reduce the probably of scheduling conflicts. Plus, we'll be more affordable too. Parking Lots that take users a long time to find a parking slot are universally dreaded. And many people will just order from Amazon, to be spared the inconvenience. Clients should be able to find a parking spot at your business without have to follow clients that are leaving to take their parking slot. Plus, they should feel safe, and secure while traveling from and to their parked cars. When clients are less stressed about finding a parking slot or their safety to and from their car, they are more inclined to view the businesses services in a positive light. Clients already upset about their experiences within your parking lot may try and find another service provider. It is very important to have an experienced asphalt parking lot paver visit the lot site for the costs estimates. They should discuss the parking lot with the client as they look over the blue print. Then the lot should be measured from edge to structures, such as light poles, islands, and sewer caps. All locations of structures should be confirmed on the blueprint. An inexperienced paver contractor will make hasty cost calculations about the parking lot site in order to complete a bid quickly in an effort to be awarded the bid. They only wind up cutting quality on the job by perhaps underestimating the amount of material or not understanding the limitations of an inexperienced crew to do each step completely before moving on. Problems with the build of your parking could cause delays in the grand opening of your business. Our advice- choose experience over a very low price bid. Seattle WA Paving will work with clients’ designers to help build the type of parking lot that will be most beneficial to users and property owners. Most of all we want our clients to get the best designed parking lot that will function well for decades at the lowest possible price point. ​Parking Lots can be repaired quickly and affordably if the maintenance problem is caught early. For instance, repair a crack before subsequent rains widens it and compromises the subbase. When you wait to repair a fault with a parking lot, the problem will soon get to that tipping point at which the damage speeds up. Parking Lots without regular maintenance may need a complete restoration prematurely. Call Seattle WA, Paving and ask for a complementary parking lot inspection. Not one commitment is expected on your part. We can help improve the lifespan of your parking lot by repairing faults before they lead to even greater problems. ​Parking Lots that are not maintained can become a liability. Laws defining property liability mean that owners who don’t maintain their building or parking lot are legally responsible for any injuries that take place. Hazards in a parking lot are maintenance conditions that have been ignored are often quick fixes, assuming the parking lot is not riddled with them. Standing water- they are usually slight depressions repaired quickly with a surface path. Wide cracks- can be cleaned out then patched with a hot sealer. Potholes- broken material is removed down to the damaged subbase, which will be repaired. A tack coat, an adhesive, is then applied to the pothole- this improves the bonding of final asphalt patch. Alligator cracking shows up as several small oblong shapes connected - looks like alligator skin. Alligator cracking can have a few different causes, such as heavier loads then what the pavement was designed for, moisture intrusion into subgrade, and improper installation of subbase. Alligator cracking can be fixed by removing all damage pavement, including damaged subbase, then rebuilding the subbase and finally placing a patch. ​We can quickly fix the above parking lot problems without much disturbance to your business. We can work on a small section at a time, and have no problem working on weekends (rainy weather in Seattle forces us to be very flexible). ​An ageing parking lot with mostly surface damage but without subbase problems will be like new with a resurfacing. A resurfacing will take the top 1.5 to 2 inches off the ageing parking lot which will level the field (if there are any low spots they will be repaired and brought level). After the parking lot is cleaned off, a tack coat will be laid to improve bonding with the replacement of the top layer (1.5 to 2 inches) of new asphalt. The newly resurfaced parking lot needs to be marked or striped again which can be done as soon as its cool otherwise you will get some rutting from the striping machines. The newly resurfaced parking lot can last 8 to 15 years. The best possible fix for an ageing parking lot would be a resurfacing because it is less expensive than a full tear out and reconstruction and can be implemented quickly. It is an attractive option for business owners trying to upgrade their image or brand. ​Parking lots concrete curbs give a bold visual end to the parking lot. This helps keep people from parking where they’re not supposed too or from damaging sidewalks and landscape . Plus, concrete is stronger and preforms longer than asphalt.The extra strength helps especially at the edges of a weaker asphalt pavement. Concrete pads laid in front of dumpsters or loading docks are great to strengthen the load capacity of the pavement that regularly receives heavy loads. Stress fractures on these concrete pads are less likely.